Internet play requires a 100% Windows 95/98 compatible 28.8 Kbps (or faster) modem. A 100% DirectX 7 or higher compliant video card and driver with z-buffering capability is recommended. Vampire: The Masquerade-Redemption uses Microsoft's Direct 3D to support 3-D hardware acceleration. It has been tested on many, but not all, of the major cards incorporating the chipsets listed below. Some 3-D accelerator card brands utilizing the chipsets whose names appear on this box may not be fully compatible with the 3-D acceleration features of Vampire: The Masquerade-Redemption. *These cards require fog emulation to be enabled using nvidia control panel. **Some, but not all, of the cards with the chipsets listed above have been tested on Windows 2000. For Windows 2000 3D support, please refer to your hardware manufacturer for 100% Windows 2000 DirectX 7 compliant drivers. Important Note: This product uses Microsoft's DirectX 7 technology, which requires your system to have the latest Windowsr 95/98 dirvers that fully support DirectX 7. 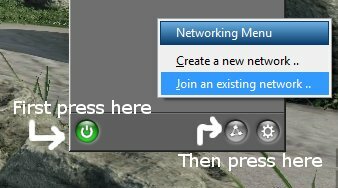 + Save Anywhere (Escape menu option) (NOTE: Certain Disciplines may not work properly for a short time after reloading a save game. As such, we recommend saving your game in areas where you don't anticipate needing your Disciplines immediately after reloading). + Remaining enemy health indicated by color of rollover - starts off as white and becomes progressively redder. + Black screen loading saved games after beating single player. + Prevented bad combinations of flags in ST game startup (ST Moderation, etc). + Fixed the save game size which was the cause of slowdowns and increased size of save games and other various minor bug fixes. + Loading message no longer appears when a player zones during multi-player games. + Custom Chronicles may not be compatible between patched and non-patched versions of Vampire The Masquerade Redemption. + Saved games may not be compatible between patched and non-patched versions of Vampire The Masquerade Redemption. 7. ALT+Right Click to position objects in Story teller and ALT+SPACE+Right Click to rotate the objects. 10. Possess an NPC to change their Talk/Neutral/Enemy state in the User Interface. Question - The Autosave feature in the game doesn't work. Solution - This has only been seen on a Windows 2000 machine with NTFS using Indexing Service on the NTFS partition. You will need to have your Indexing Service Enabled to get the Autosave feature to work. Rare issue - There is a rare issue that tends to occur with save games in Redemption. The issue tends to cause any new games that are made to be mixed in with old save game data. The result is very strange, causing the player to see items in a new game that they recall placing in an older previous game. Monsters that were killed also remain dead in the new game. This makes gaming sometimes impossible to progress without using console commands. Solution - Go into your main Redemption game folder and delete your SaveGames folder COMPLETELY. This usually fixes the problem without having to do a tedious re-install of the game. The issue was that the save game folder was corrupted. The advantage WinXP users have over Win2K users is that they have the compatability tab, which lets them fool programs into thinking they're running on different operating systems (you can choose from Win95, Win98, and WinNT4). By using this compatability mode you can keep the installer from crashing; the only problem is that the tab is mysteriously absent in Win2K. Fortunately, it just so happens that Win2K actually does have the same feature -- it's just not enabled by default. Good job Microsoft! 2. Search for slayerui.dll -- A copy should be located in C:\WinNT\AppPatch\. If it's there, move on to the next step; if it's not, just remember where it is. 4. Type regsvr32 c:\winnt\apppatch\slayerui.dll and hit Enter -- If your slayerui.dll file is in a different location, change the directory accordingly. 5. Open up the contents of your Vampire install disc. 6. Right-click on the Setup.exe file and create a shortcut to it on your desktop. 7. Right-click on your newly created shortcut and select Properties. 8. You should now see a fancy new tab labeled Compatability. Click on it! 9. Check the Run in compatability mode box and select Windows 98 Compatability Layer (or Windows 95 Compatability Layer if you're feeling adventurous, though I can't guarantee it will work). 10. Click OK, double-click on the shortcut, and install the game. Same as above, but without the need to install the compability mode. In short - just follow steps 5 through 10 and ignore steps 1 through 4. Install Redemption onto Windows 98 either by using Virtual PC, Windows 98 partition, or an older computer that has Windows 98. Be sure to patch Redemption then no-cd crack it. After that, either burn the installed Vampire The Masquerade - Redemption folder or transfer it to an external hard drive (usb flash drives are getting pretty big and cheap). The game should be able to run on most computers by transfering the file directly then executing the Vampire.exe file. If not, you may need to create a shortcut of Vampire.exe to run compatibility modes and administration mode. Question: My SaveGame and Crypt folder don't appear in the VTMR folder. Where are they? Answer: Hamachi is a peer-to-peer program that allows LAN connections on computers over the Internet. Question: How do I use it to play Redemption in multiplayer? -Download and install hamachi. Version 1.0.3.0 recommended. A player that is online will appear in white letters. You can right-click a player and choose a chat option to speak to them to make sure they are up for a game or currently running one. If a game is running then start up Redemption, choose multiplayer then LAN. After making or choosing a character, you will be sent to the LAN lobby. You should be able to see and connect to games currently running. Question: My friend is running a game, but I cannot see it? NOTE: Activision does not recommend or support playing online through a firewall or proxy. The following information is provided as a courtesy to players who may wish to do so. Customer Support will not provide assistance with this issue. 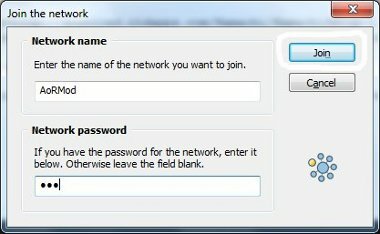 If you have a router then you might need to CONFIGURE YOUR ROUTER. You'll also need to configure your firewall. Vampire: The Masqurade Redemption transmits and receives network traffic on port 27960 using UDP and TCP. Problem - I can't equip a new item nor pickup additional items to my inventory. Solution - Remove everything you see in your inventory and drop it on the ground then pick it back up. This usually fixes the problem. Problem - I can't remove or unequip my items. Solution - Chances are those items are from a mod pack that the server is not using. Best thing to do is leave the game and make a fresh new character that has no items or find a server that is using your mod pack. Problem - I can't see the torch lights from my torch. Solution - Have the ST spawn a flashlight instead or use either Eyes of the Beast discipline or Torch discipline for illumination. Sometimes enemies will not show bullet flash effects or sounds when they fire at a player. You usually can't see another player change facing. Players will not see items, props, or enemies from mod packs they do not have installed in their pc. Sometimes a player will be sent to the wrong location when they click an exit door. Custom models will always appear as Christof to players that don't have the custom model pack the player is using even if that model is female. Players cannot enter a server with a custom skin that the server does not have. The game supports up to 8 players, but additional players can still connect even though they will be limited to the lobby. Sometimes enemy attack animations will not show, yet the players will still take damage. NOTE: ACTIVISION NO LONGER SUPPORTS THIS GAME. THEY HAVE REMOVED THE TROUBLE SHOOTING DATA FROM THEIR DATABASE. Question: How do I play in multiplayer? Answer: The multiplayer servers were being hosted by WON.net and for awhile after WON.net's demise they were being hosted by Flipside. Flipside desided to end its support so the multiplayer servers are down for good. Now we use Hamachi. Hamachi is a peer-to-peer program designed to simulate LAN connections to individuals across the internet. Hamachi allows for the creation of channels. Anyone who connects to a Hamachi channel is like adding another computer to a local network hub. That does come with some risks. Be sure to check your shared folder settings and any remote access features that could be exploited before connecting to a Hamachi channel. Question: What is the Unofficial 1.2 Patch? Answer: The unofficial 1.2 patch is over 100megs of overkill designed to supposedly fix a multiplayer exploit that causes servers to crash. Unfortunately, 99.9% of all maps and mods are incompatible with this 1.2 "patch". Also, the unofficial 1.2 patch does not fix single player - actually quite the opposite. So do not download. Since WON.net is gone and its servers are permanently down, the exploit is no longer applicable in this new age of private Hamachi servers. Question: What is a mod? Answer: This community's definition of a mod is any creation that is dependent on a user folder. A mod would consist of new disciplines, particle effects, clans, and new backbone rules (damage characteristics, changes in AI, ect). For other creations, we use a categorization of Maps, Models, Items, and anything that represents a .nob file that can be thrown into the main VTMR directory. Question: Are there any single player mods? Answer: For several years there hasn't been any well known mod that supports single player. During the first year of the game, only two well known mods were being developed and only for multiplayer. Those mods were the Within The Darkness Mod (WTD) and the World of Darkness Mod (WOD). Neither of these mods have any real support for single player and will never have any support for single player since they have been discontinued. Despite having the capability for the past 10 years due the availability of the Nod SDK, there has been no custom single player campaigns created. There has been a couple of new mods out during the past few years that openly supports single player. Those mods are the Age of Redemption mod and Wodal Mod. Question: Is one mod compatible with another? Answer: The short answer is no. Each mod is an isolated environment ran through individual user folders. This mostly means that one mod isn't going to affect another mod. So the myths about WTD and WOD mod causing each other to crash is merely a myth. Both WTD and WOD are isolated from each other and should not be affecting one and other. It is possible to combine mods together, but that requires the creation of a whole new mod. The one common issue with installing multiple mods is that not all mods use a custom Crypt. The Crypt folder is used to store saved multiplayer characters. Some mods are able to isolate the Crypt, allowing users to save their multiplayer characters into a mod specific Crypt. Usually the result of loading a character from one mod into another mod results in crashing at the character selection screen in multiplayer mode. If this occurs then you either have to delete the mod dependent player from the Crypt manually or run the mod that character is dependent on.